They're celebrating ME day with an armor suit for a game you can't even play yet? That was my exact reaction. 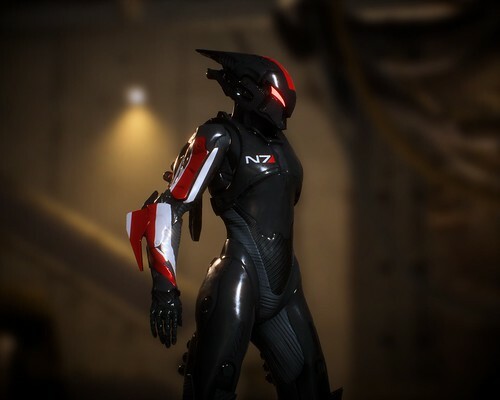 Um hey Bioware, ship your game first. Exactly what I said to myself before opening this thread, lol. On a positive note, I think it looks kinda cool. I'm interested in the game...so, I'll probably end up using his armor (assuming, of course, that I end up picking it up). Awesome armor for a game I pre-ordered. Yay? I want a new Dragon Age, the last one was so damn good. I let my Origin Access lapse. Madden wasn't all that great with its clunky controls and BF1... bad guns. I'll probably really ew for Anthem. No interest in BFV. I used to have EA Access for playing NHL early every year, hell NHL 19 is from what I hear great this year, and I still haven't even bothered to buy it. It isn't, but right now it isn't creating most of the games I want to play anymore. We'll see in the coming years. Does it bother to say how you are supposed to get this armor? No, they haven't said much about it yet, but the hint was that this is a paid skin.